…if you speedrun it. Yes, the game is sprawling epic, featuring over 200 hours of content if you’re the sort who loves to do absolutely everything. If, however, you’re the kind of player who just wants to rush through the main story, without stopping to smell the roses and kill a few wayside bandits, then you can complete the game in just over 2 dozen hours. Which is still a heck of a lot of game. That’s according to Gamereactor Germany, who were told that even the fastest of the internal testers took 25 hours to complete the game’s story. That included taking the fastest routes, and licking through all of the dialogue, so I think it’s safe to say that if you’re a fan of The Witcher or its universe, you’ll more than likely get your money’s worth. 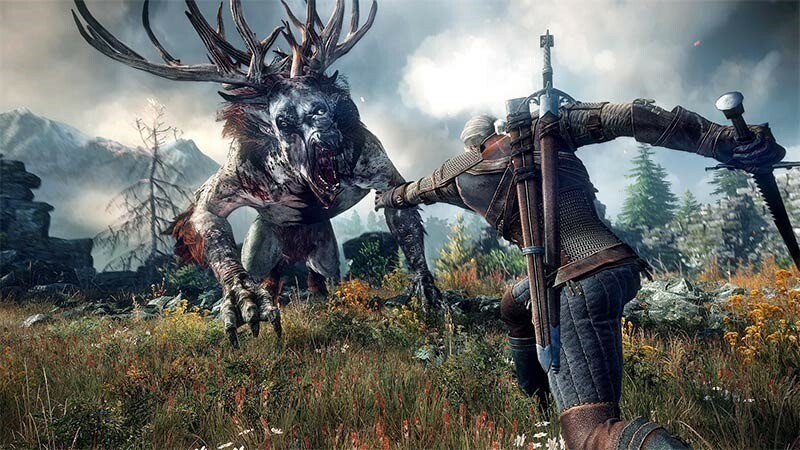 It was recently revealed that there’s be even more to the game with the post-release addition of two paid-for DLC packs on top of the 16 bits of superfluous DLC CD Projekt RED has already promised. The two new DLC, which seems to be more like the expansion packs of old. Together, they offer 30 hours of new content across two campaigns.